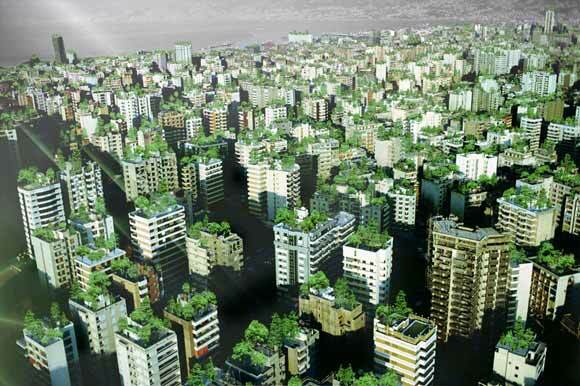 ARCHILEB recently featured a project dubbed “Wonder Forest “a design for Beirut by StudioInvisible. The project is a proposal to invigorate the Municipality of Beirut and its citizens to over turn the “mayhem of concrete and pollution”. An ambitious project none-the-less, as details on structural integrity of majority of the buildings would be in question, it is simple yet comprehensive. If a mandate made every building owner to plant a few trees on the rooftop, the municipality could offer an economic incentive to do so. Again this highlights the problem in other cities as well, which need to restructure taxes to properly fund these incentive programs.